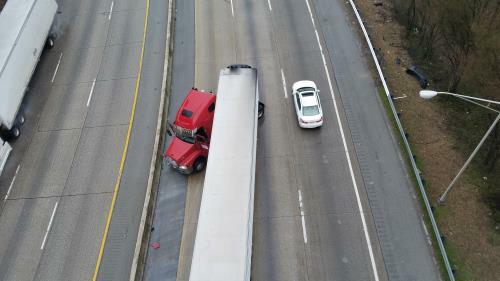 A jackknifed tractor trailer caused some traffic problems on the Ridge Cut on Sunday. The tractor wound up headed in the direction back out of town, while the trailer was still on the assigned route toward the I-24/I-75 split. Continued rainy weather has caused some traffic mishaps as well as caused some potholes to show up in area roads.